Unbeaten welterweight world champion Errol Spence Jr. hosted a media workout in his hometown of Dallas on Tuesday ahead of his matchup against former two-division world champion Lamont Peterson Saturday, January 20 live on SHOWTIME from Barclays Center, the home of BROOKLYN BOXING®, and presented by Premier Boxing Champions. 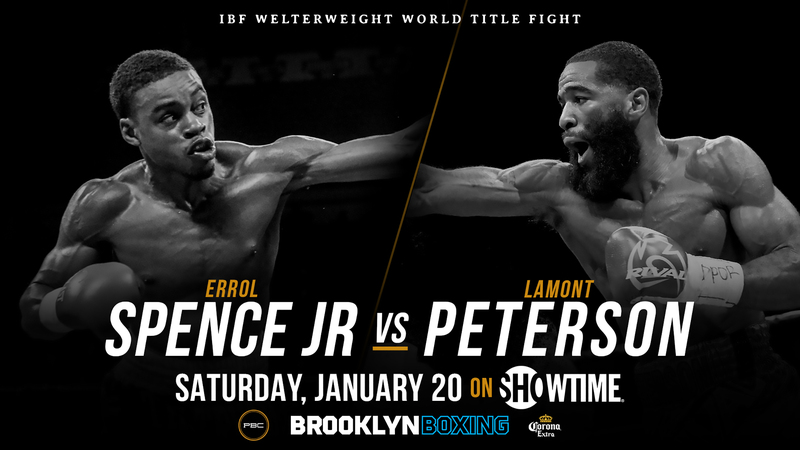 The SHOWTIME CHAMPIONSHIP BOXING telecast begins at 9 p.m. ET/6 p.m. PT and features lightweight world champion Robert Easter battling former champion Javier Fortuna in the co-main event. “Everyone who has seen me fight before knows it won’t be a boring fight. Even if it’s one-sided, it’s always going to be action packed. January 20 is going to be a tremendous fight and I’m going to put on a great performance. I’m planning to dominate. “Defending my title in Brooklyn will be special. I have family in New York too so it means a lot that I’ll be able to defend at Barclays Center. New York is a boxing city so they really appreciate champions and know the sport. “I’m excited to be fighting a guy like Lamont Peterson. I’m not fighting a regular no-name fighter. He’s going to bring the best out of me because he’s a true fighter. It makes the whole experience even better. “The top spot in the sport is really up for grabs now and I’m coming for it. I don’t care who I have to face or where, I’m going to be the last man standing. That’s why we all get into this sport. I’m extremely confident in myself. “Lamont and I both have big hearts and I think everyone will be able to see that in the ring. We’re both smart fighters so there might be some feeling out before we get going. But I expect it to be a dogfight. “Errol looks really good in training. He has great focus. He is very detail oriented and keyed in on being the best version of himself. The determination on his face lets me know that he wants to leave no stone unturned and make sure everything goes his way on fight night. We win the fight in the gym not in the ring. “Lamont Peterson is very witty and intelligent in the ring. He’s a tough guy too. He brings that mental fortitude that you need to be successful. We have to be coming to this fight 100 percent and be focused the whole time. If we don’t, we may come up short.